Have you just acquired the latest Samsung Galaxy A8 (2018) or are you planning to? It would be a shame to damage your phone shortly after buying it! 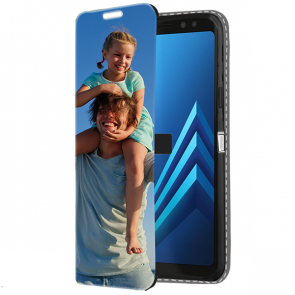 Then it is the right moment to make your own personalised Samsung A8 (2018) case, it's as easy as pie! 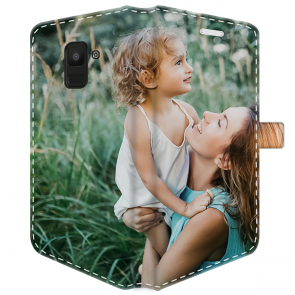 Choose the type of case you want, choose the layout, place your picture, some text, some stickers and a filter if you feel like it. You are done! Proceed to the checkout and you will receive the case that matches perfectly with your desires! Express your talent with our customizer! 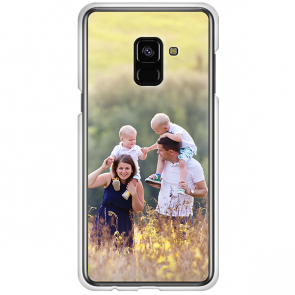 It has been designed to be user-friendly and thus allow everyone to have their own unique phone case. 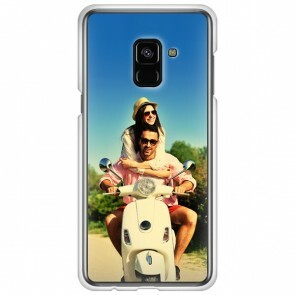 So don't hesitate anymore to create your own personalised Samsung A8 (2018) case! Your whole family and friends will be jealous.